Sometimes a recipe doesn’t turn out the way you had hoped, and I guess that’s OK—especially if the final dish is, despite its faults, delicious. Such was the case last night when I prepared a recipe from Marcella Hazan’s second cookbook More Classic Italian Cooking. 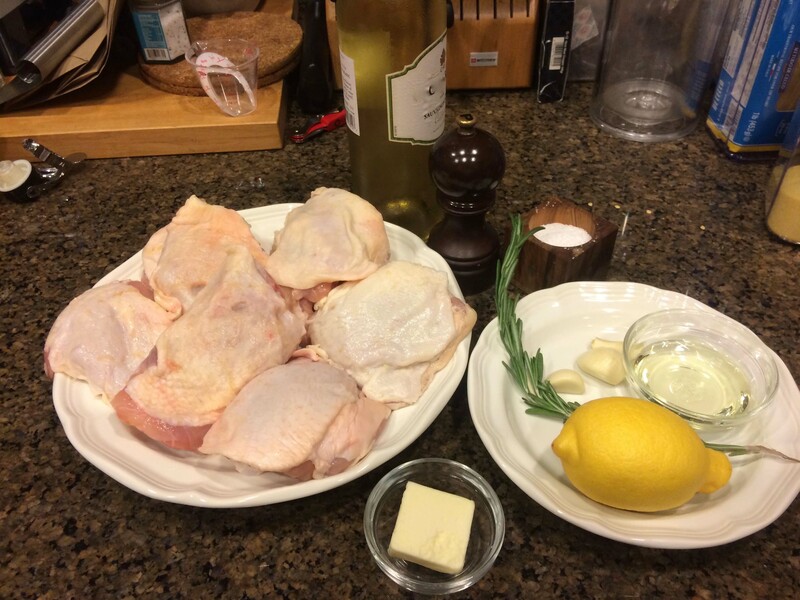 This is the same volume that introduced us to one of her most famous recipes, Pollo al Limone, Roast Chicken with Lemon, which uses only two ingredients, a young chicken and two lemons, along with salt and freshly ground black pepper, to yields one of the best roast chickens I’ve ever made. 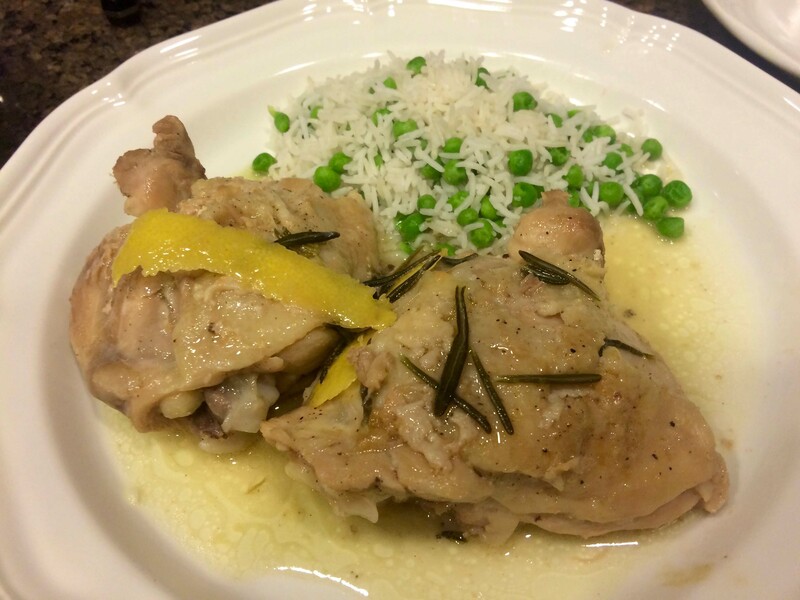 Perhaps because of my success with this dish, I chose the recipe for today’s post: Pollo in Tegame al Limone, Pan Roasted Chicken with Lemon Juice. It’s a little more involved than her roast chicken recipe and uses a few more ingredients. But what immediately caught my eye and led me to make it was that it called for browning the chicken without using any fat. After being washed under cold running water but not dried, the chicken pieces are placed in a skillet without any oil to brown. “The moisture clinging to the washed chicken pieces and their own fat,” says Marcella, “will suffice.” I simply had to see if this would work. She does warn you to watch the chicken pieces and “turn them before they stick.” Yet even though I followed these directions and hovered over the pan like a mother hen, my chicken only attained just a tinge of brown. And maybe this is what was called for, since even if the chicken had browned normally, the skin would never have been crisp as the dish is cooked covered for 40 to 45 minutes. In fact, the recipe does specifically call for “lightly browning” the chicken. 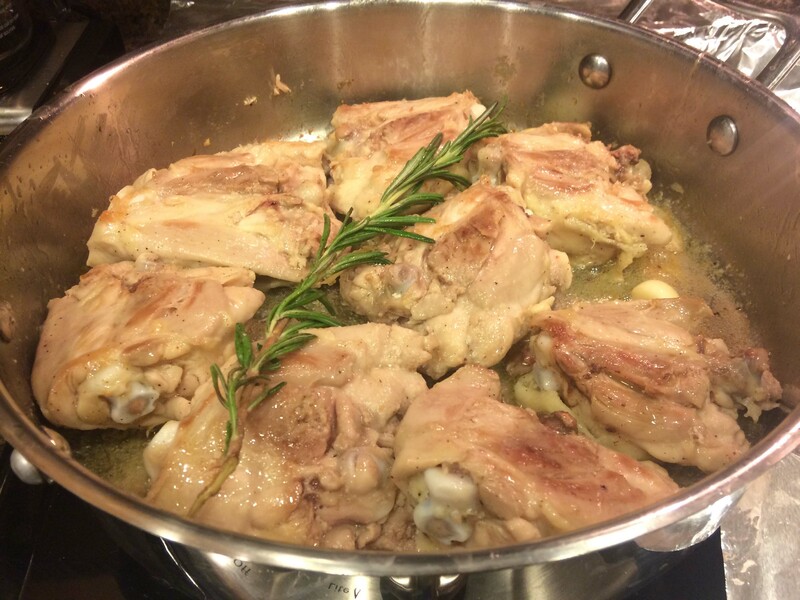 Moreover, both in appearance and in flavor, this dish reminded me of one of my favorite dishes from the Roman trattoria Da Gino, coniglio al vino bianco, rabbit in white wine. The meat was wonderfully moist, tender, and flavorsome. But alas the skin was disappointingly slimy or rubbery. Perhaps I should have served the chicken without the skin. Eventually I’ll make this dish again, but with a few tweaks, the first of which will be drying the chicken and browning it with some fat. 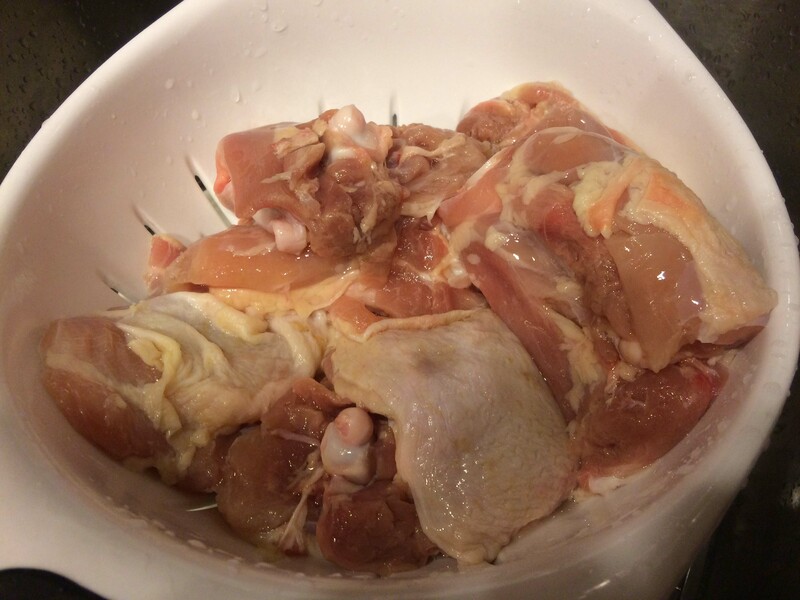 1- Cut up the chicken into 6 or 8 pieces, and wash these under cold running water. Do not dry them. 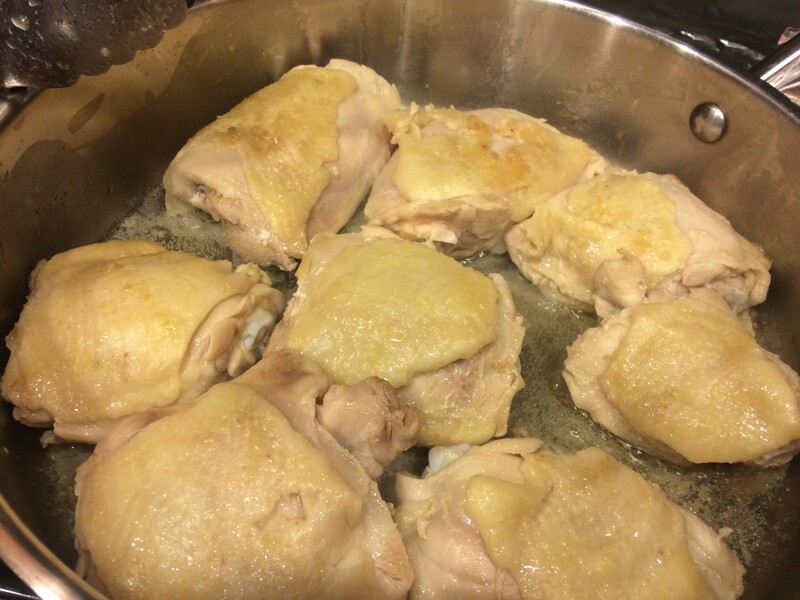 Put the chicken pieces skin side down in a sauté pan in which they will fit without overlapping. Turn the heat on to medium high, drying and lightly browning the chicken on all sides. No cooking fat is required at this point. The moisture clinging to the moist chicken pieces and their own fat will suffice. You must watch them, however, and turn them before they stick to the pan. 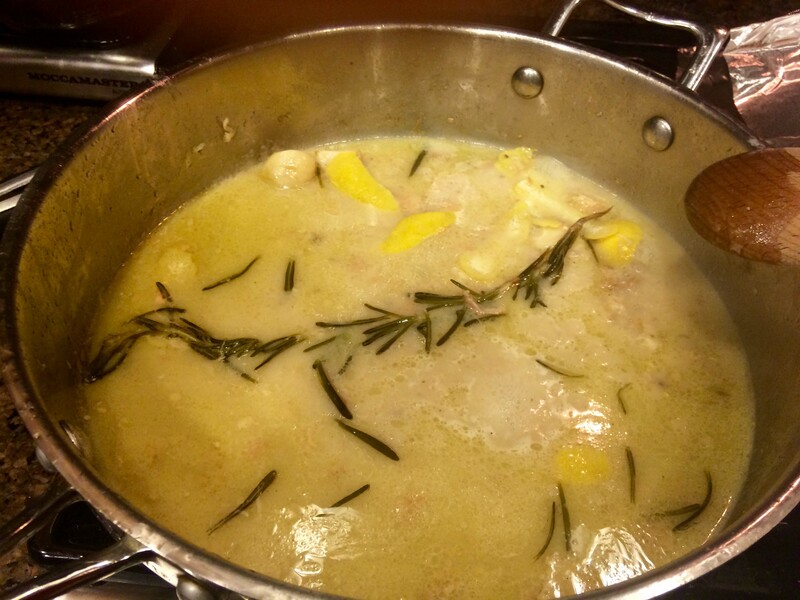 2-When this chicken is lightly browned on all sides, add the oil, butter, rosemary, garlic, salt, and pepper. 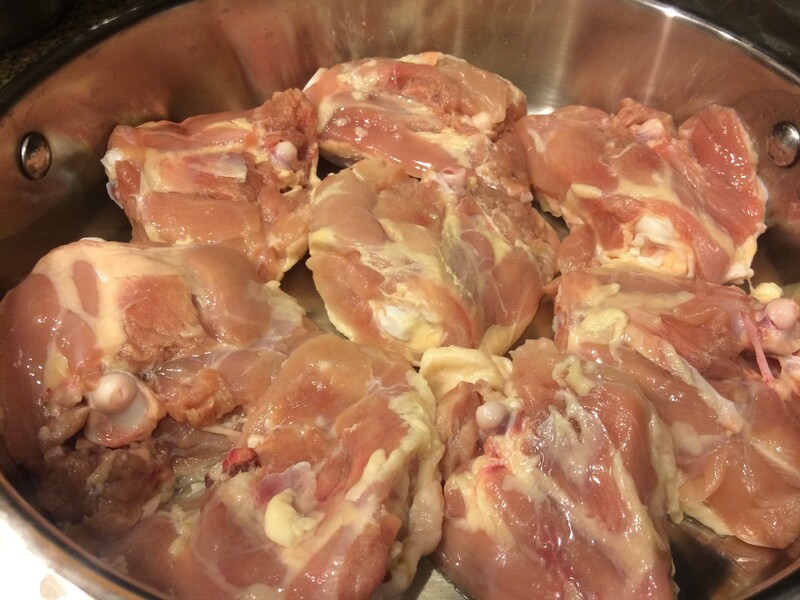 Cook for 2 to 3 minutes, turning the chicken pieces over once or twice. 3-Add the wine, turn the heat up a bit, and let the wine bubble for half a minute or so. Then turn the heat down to medium low, and cover the pan. 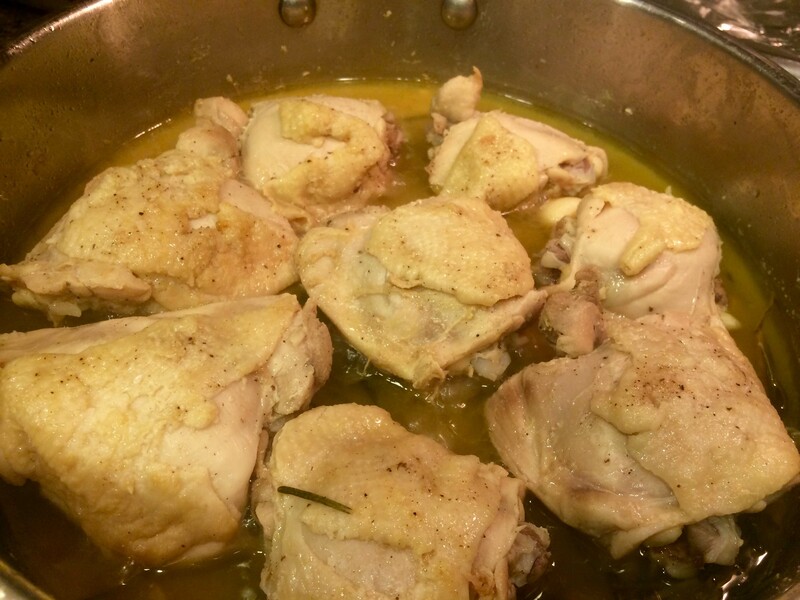 Cook until the chicken is tender, testing one of the thighs with a fork. It should take about 40 to 45 minutes. 4-Turn off the heat, and transfer just the chicken pieces to a warm serving platter. 5-Tip the pan, and with a spoon remove all but 2 tablespoons of fat. 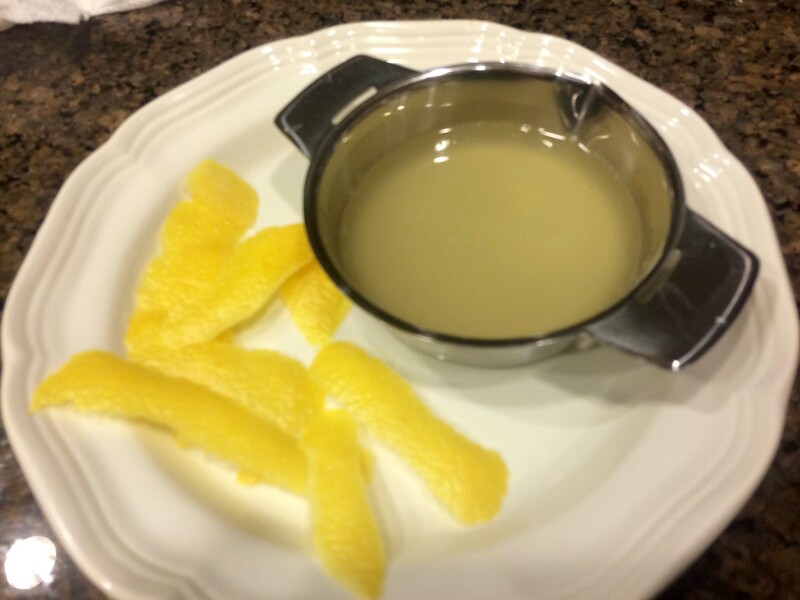 Add the lemon juice and lemon peel, turn the heat on to medium low, and stir with a wooden spoon, scraping loose any cooking juices that have stuck to the pan. Pour this light sauce over the chicken, and serve at once. Lemon chicken sounds good and I may try this. Thanks for sharing. It tasted far better than it looked.